Pepsi SpringJam is a two-day country and pop music festival in Panama City Beach, FL taking place THIS WEEKEND! SpringJam is located in Panama City, one of Florida’s most beautiful beach locations. Festival goers travel from across the United States, not just for the sensational music and renowned artists but for a beach vacation as well! 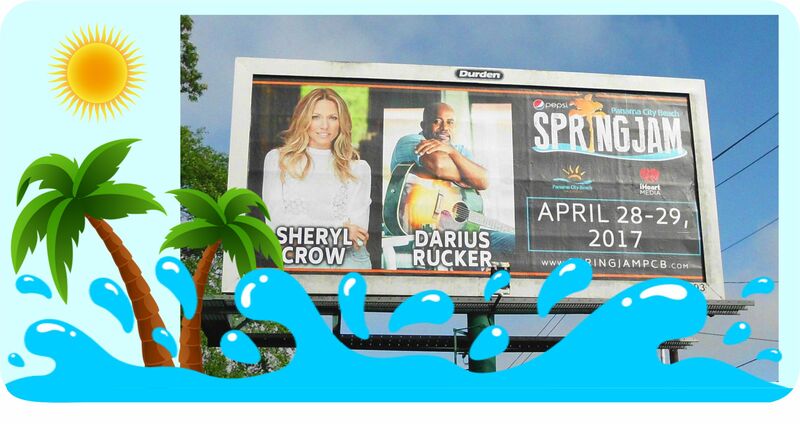 Pepsi SpringJam utilized Durden Outdoor’s Rotary Poster Program and Digital Billboards to saturate the Wiregrass market. Durden has been a proud sponsor of the festival for the past several years and is looking forward to another great weekend! http://www.durdenoutdoor.com/wp-content/uploads/2016/06/DUR-Footer-Logo.png 0 0 Martin Whaley http://www.durdenoutdoor.com/wp-content/uploads/2016/06/DUR-Footer-Logo.png Martin Whaley2017-04-27 21:42:222017-04-27 21:42:22SpringJam Weekend is Here!